The Deluxe Series by Garage Doors of Scottsville gives you beauty, strength, and value in a traditional style garage door. 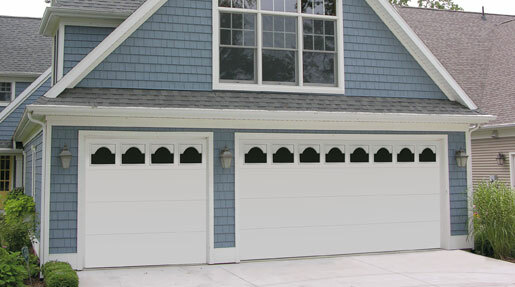 Available with flush or raised panels, these attractive garage doors feature wood grain embossing for a beautiful wood-like appearance with the strength and easy-care of steel. Insulated and non-insulated models along with window options are available.